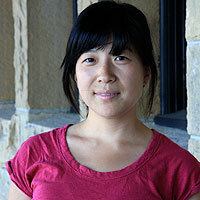 Mina T. Son is a Los Angeles-based Korean American filmmaker whose films have screened at film festivals and museums including the National Gallery of Art, Margaret Mead, Traverse City, Mill Valley, and Cinequest. A two-time Student Academy Award Regional Finalist, Mina has been awarded fellowships and funding from Independent Television Service, Stanford Institute for Creativity and the Arts, Film Independent, PBS/CPB Producers Academy, the Japan U.S. Friendship Commission, and Center for Cultural Innovation. Mina holds an M.F.A. in documentary film from Stanford University and a B.A. in psychology from the University of California, Los Angeles.